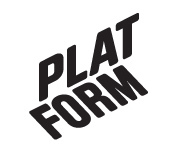 October 2004 – Platform r.f. “Mixed Tape” is the result of a curatorial/artist residency I undertook in Vaasa, Finland at Platform Gallery and Artist Association. During this time I spent extensive time doing research at both of the Finnish Av-Arkki and Swedish FilmForm video art distributors, visiting as many artist-run and contemporary spaces as I could, and meeting with artists from around Finland and Sweden. The performance/exhibition that resulted was a unique video art presentation where, as a curator and technician, I played a mediating role in the viewers’ experience, and fused a contemporary VJ performance (during the opening) with a traditional screening for the exhibition period. This project was a continuation of my interest in the concept of plurality of perspectives and viewing experiences, and challenges the notion of a work of art being finite and complete. Instead Mixed Tape presented the idea that works of art are evolving and changing contstantly. This presentation also pushed the boundaries of a curators role by beyond simply recontextualizing the video works and fusing them with each other to create a exhibition which was quite different from the sum of its individual works. Ryan Stec is a Canadian artist based in Ottawa and was the first artist-in-residence at Platform in September 2004.